Arnicare Cream by Boiron works very well! 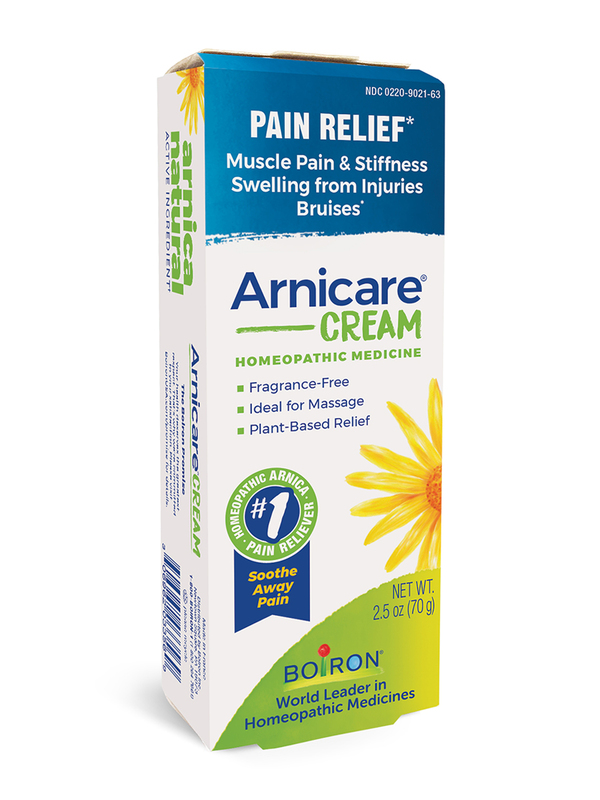 I use Arnica Cream by Boiron on sore knees. Excellent customer service. Prompt delivery. 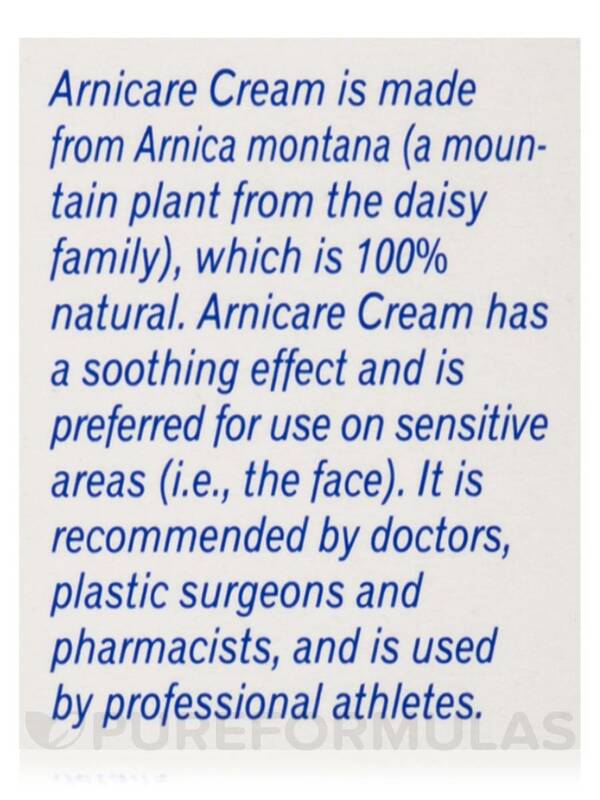 Arnicare Cream is made from Arnica Montana (a mountain plant from the daisy family)‚ which is 100% natural. Arnicare Cream has a soothing effect and is preferred for use on sensitive areas (i.e.‚ the face). It is recommended by doctors‚ plastic surgeons and pharmacists‚ and is used by professional athletes. At Boiron‚ they believe there's a better way to feel good. A better way that works naturally with your body. 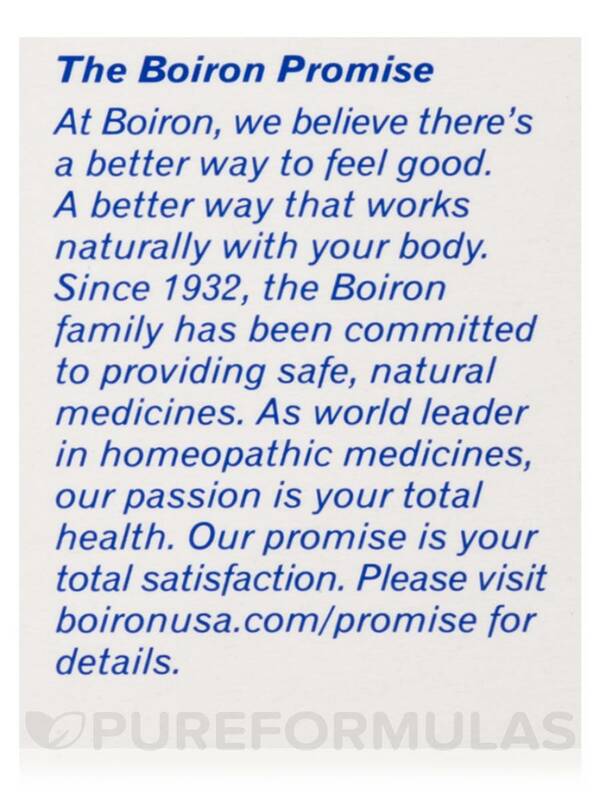 Since 1932‚ the Boiron family has been committed the providing safe‚ natural medicines. 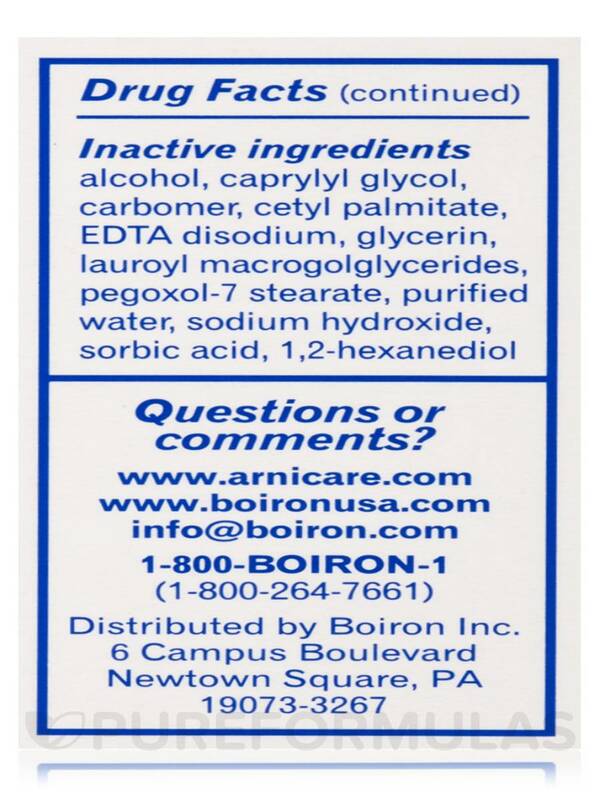 As world leader in homeopathic medicines‚ Boiron passion is your total health. Their promise is your total satisfaction. 2- Pain Relief: Neck‚ Back‚ Shoulder & Leg‚ Muscle Pain $ Stiffness. Swelling from injuries‚ Bruising. 4- Great for Massage. Works Naturally with your Body. 5- Feel Better Faster. #1 Pain Reliever. 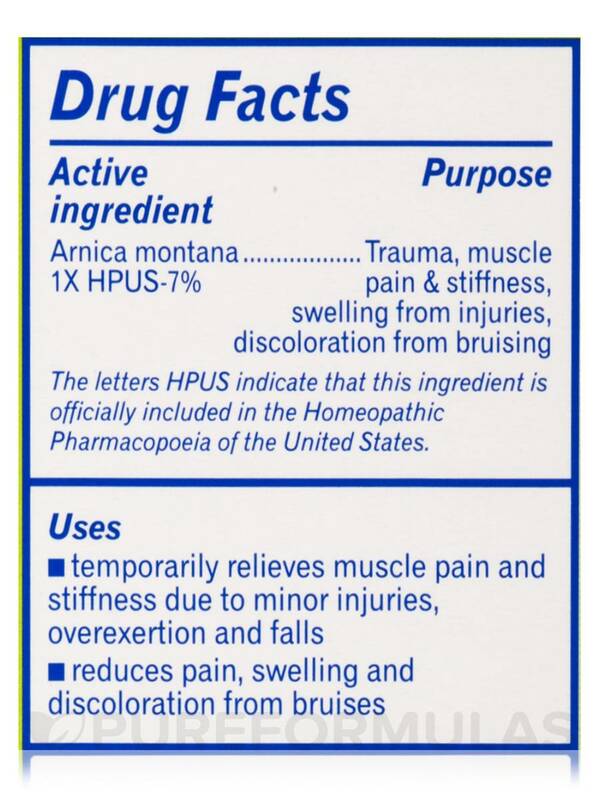 Arnica montana 1X HPUS-7% – Trauma‚ muscle pain & stiffness‚ swelling from injuries‚ discoloration from bruising. Inactive Ingredients: Alcohol‚ Caprylyl glycol‚ Carbomer‚ Cetyl palmitate‚ EDTA disodium‚ Glycerin‚ Lauroyl macrogolglycerides‚ Pegoxol-7 stearate‚ Purified water‚ Sodium hydroxide‚ Sorbic acid‚ 1‚2-hexanediol. When using this product‚ use only as directed; do not bandage tightly or use a heating pad. Stop use and ask a doctor if condition persists for more than 3 days or worsens. Keep out of reach of children. If swallowed‚ get medical help or contact a Poison Control Center right away. Do not use if glued carton end flaps are open or if the tube seal is broken. Store at 68-77°F (20-25°C). 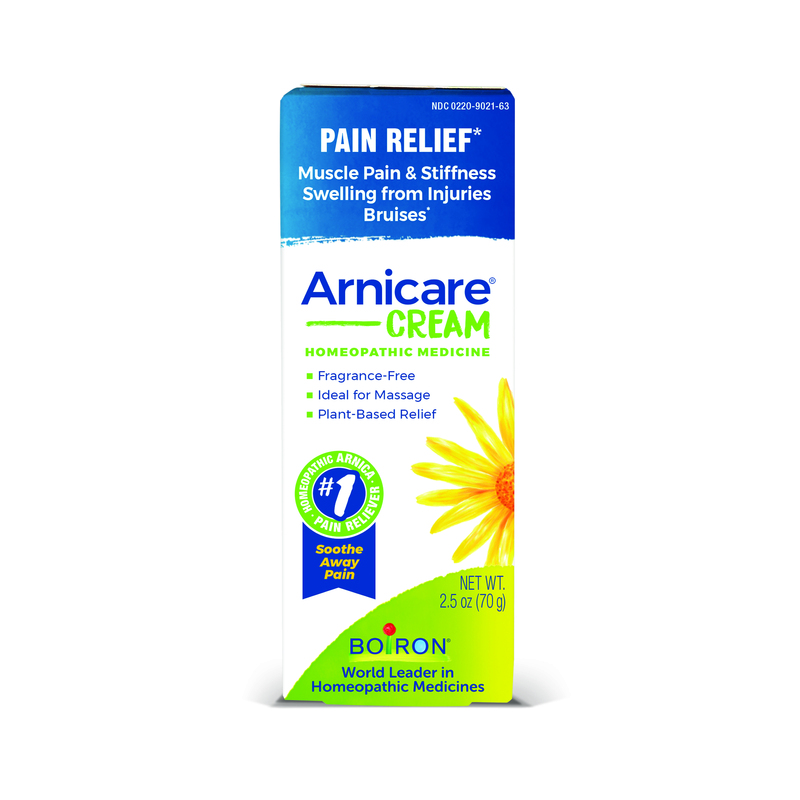 My entire family uses Arnicare by Boiron for aches, bruises, and pains and it helps speed the recovery process. A Must For The Medicine Cabinet. I use Arnicare by Boiron frequently for any kind of trauma to muscles, especially tweaks and soreness from too much effort. I would not be without this product in my home. Easy to use, rubs in easily, scentless. Not instantaneous relief, but I don't expect it with this type of remedy. 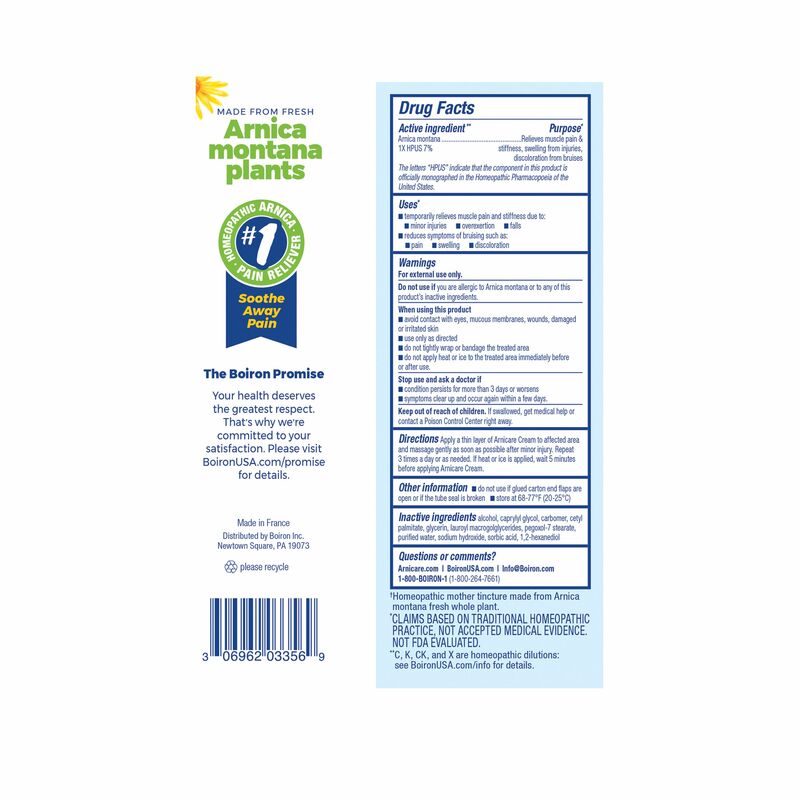 Arnicare by Boiron does not have a medicinal smell to it and is easy to use. It has been a great find! Easy to use, great smell. I like to rub Arnicare by Boiron on my lower back when I've strained it. This product helps for sore muscles and tension in my shoulders also. No strong odor and not greasy. Absorbs fully. Not greasy, no strong odors, and it works! 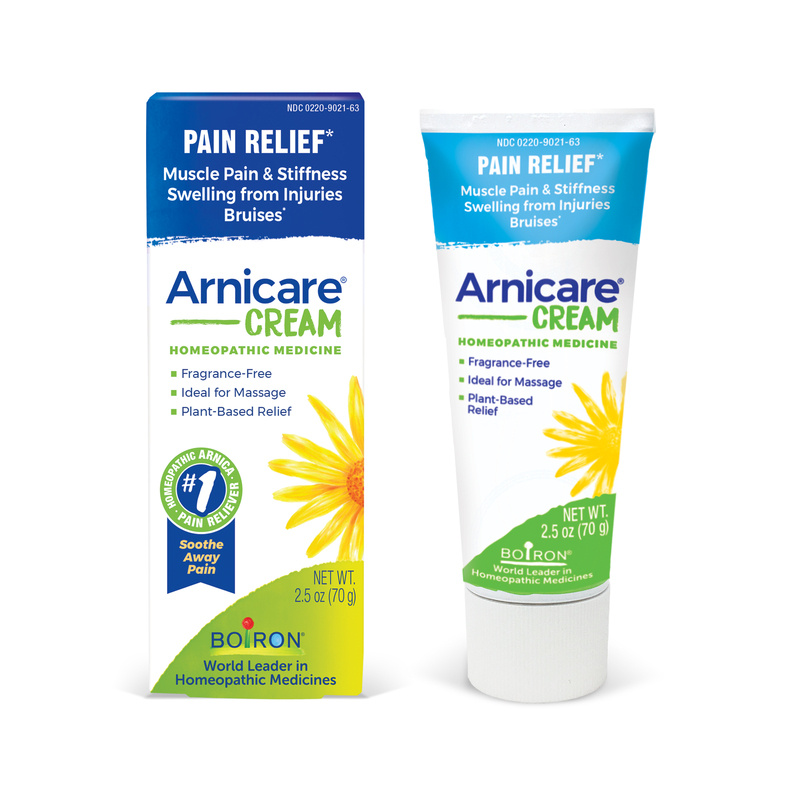 This Arnicare Cream (Pain Relief) by Boiron works quickly and lasts a long time. Absorbs into skin and gives instant relief. 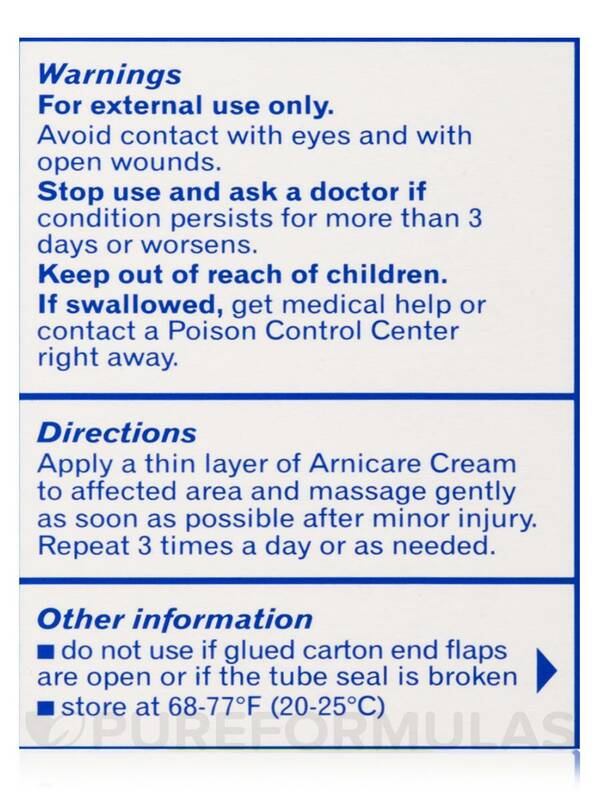 Arnicare Cream (Pain Relief) vertical by Boiron is awesome and dries quickly after its applied. I use it for back and all over aches and pain. Works really well! I don't dislike this. But I do like the larger tube better. 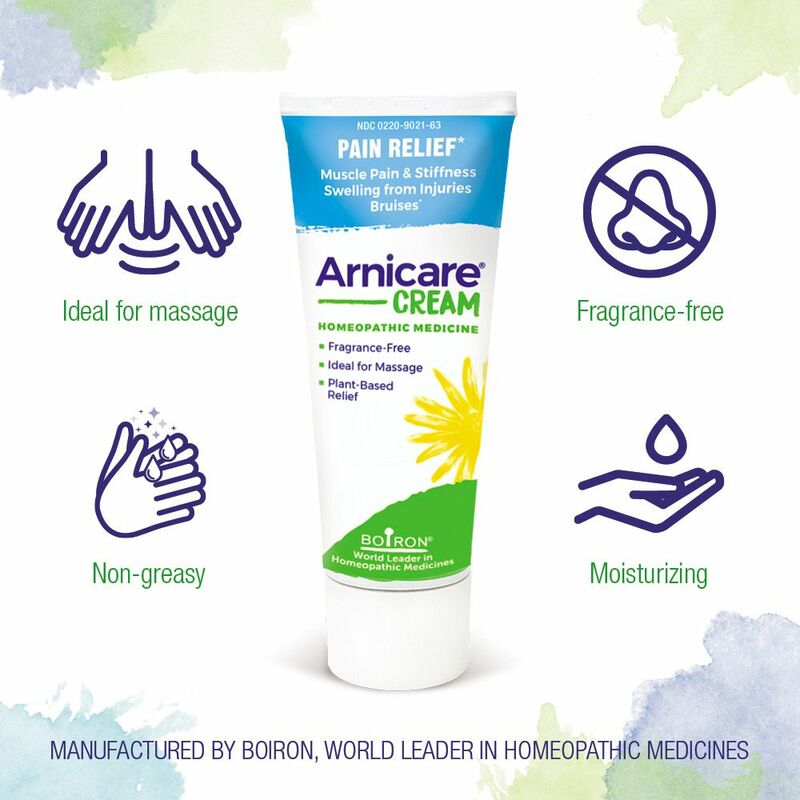 Arnicare Cream (Pain Relief) Vertical by Boiron starts working the minutes you applied on. Not greasy ,works excellent on kids any bumps,or bruises. 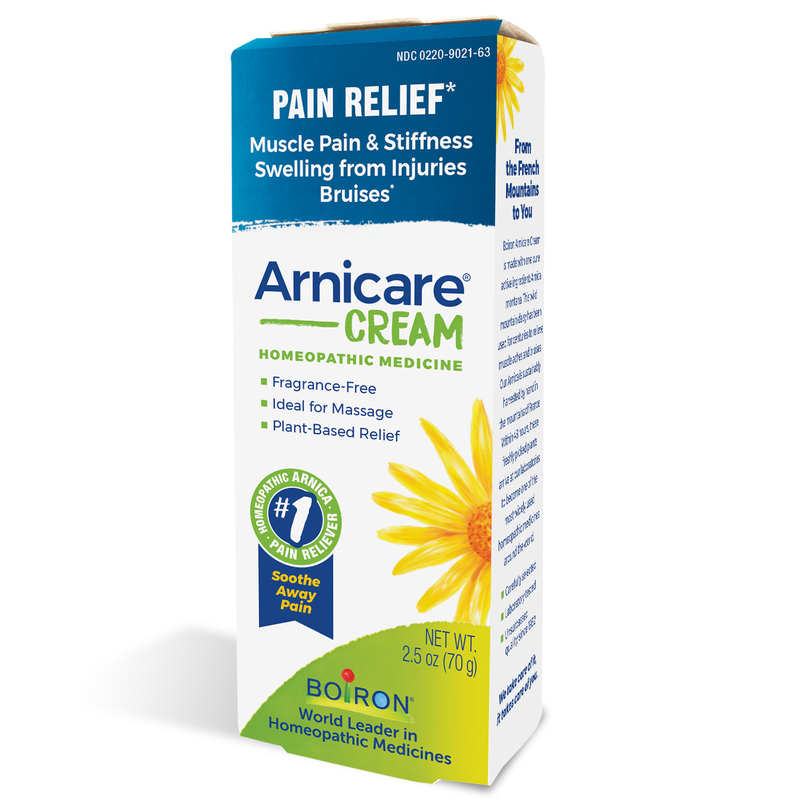 Arnicare Cream (Pain Relief) Vertical by Boiron great for pain, and helps quicker healing. Also gives great relief for stings, bites. The capillaries under one eye were disturbed a long time ago and have created quite a deep dark circle by their leakage. It is only the one eye and I have tried many things, but nothing seems to help. I understand that arnica will greatly help bruising but would value your opinion as to whether or not it would address my problem. Thanks so much. Thank you for reaching out to us, Colleen. This is a question that your trusted doctor would need to answer. They would be able to give you the best response possible since they would be familiar with your particular needs.